Groove Jones has delivered an exciting and wonderful new VR experience that allows participants to step into an imaginative world called Arcade Artist. The app is available with both single player and a multiplayer modes and has been licensed for several events. 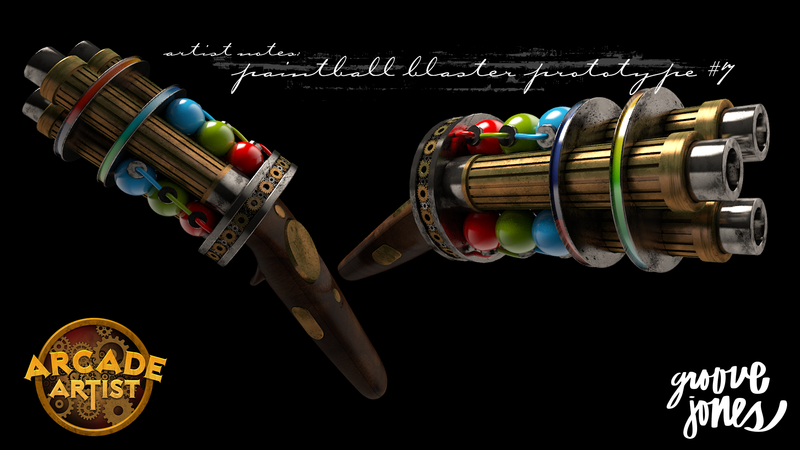 On December 5th, Arcade Artist became one of the first-ever nominees of the VDA awards! 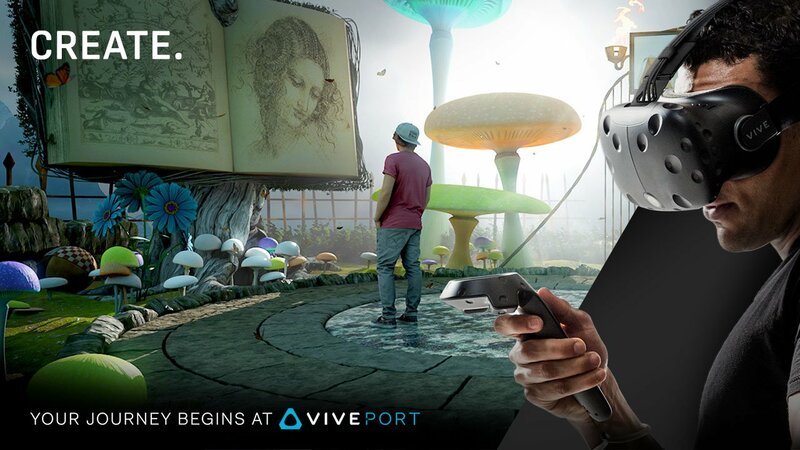 HTC, creator of the HTC Vive VR technology, created the inaugural Viveport Developer Awards to celebrate and reward creators for their immersive VR and 360 experiences. They nominated 20 titles that are published on Viveport which includes 5 nominees in 4 categories that were selected based on engagement metrics and editorial considerations. The categories are Explore, Create, Connect and Experience. 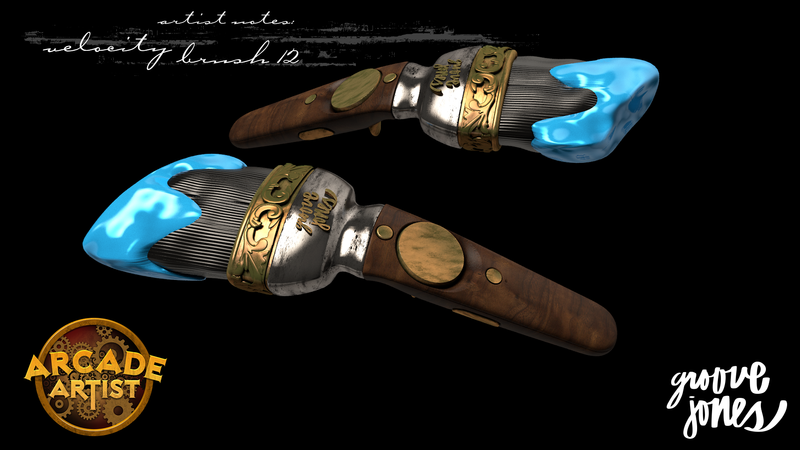 Arcade Atist is a nominee of the Create category. HTC uses Arcade Artist in new Ad Campaign. Arcade Artist premiers on the HTC Viveport store and gamers can purchase the app to download and experience in their home. 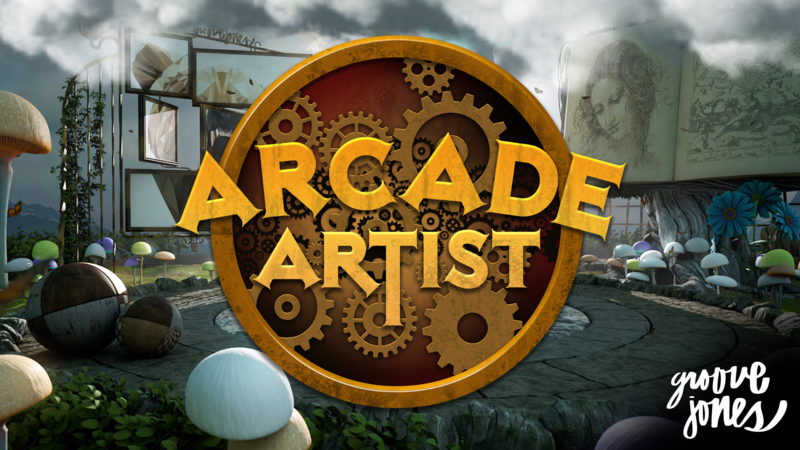 Arcade Artist is also available on Steam and other VR platforms. 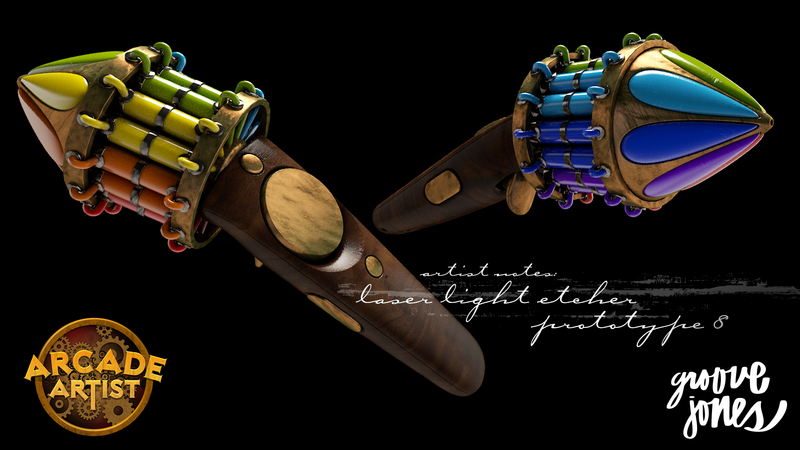 With simple and intuitive tools, players can paint in 3d or spend time shooting targets, each unlocking new and clever interactions. Players will be surprised and delighted on how much fun VR can be. Especially when they unlock hidden surprises within the world. Groove Jones has licensed Arcade Artist and some of our other Apps for use at Location Based Arcades and for brands who want a customized version. Runtime: Installation Set Up 2-3 Minutes (Can be reduced or extended if necessary.) Consumer version is not timed. Game Mechanics: The experience is part creative sandbox and part arcade, where points are awarded for blasting a wide variety of objects. Unlock hidden power ups and discover new features and effects to interact with. 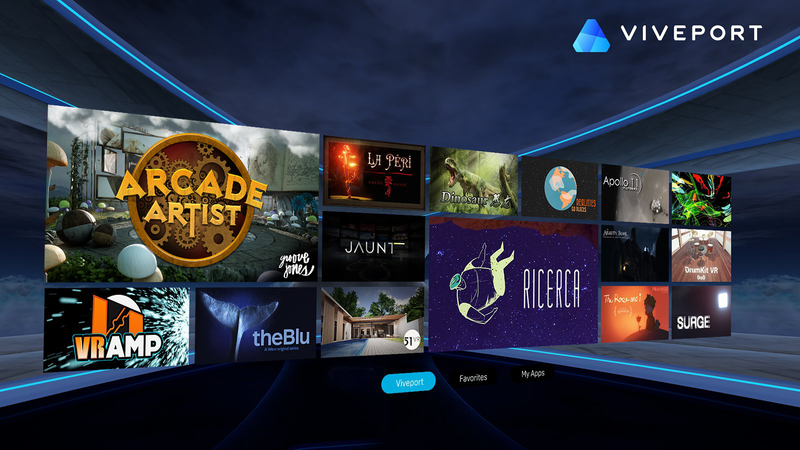 Customization: Experience can be tied to a social share kiosk to allow players to capture their VR creations and then share their 360º creation on social networks – Facebook, Twitter or send a 360º pano to their email account. Multiplayer: Experience can be set up for multiplayer to increase throughput.